As we mark the first anniversary of the Maatouk family’s arrival in St. John’s from a refugee camp in Lebanon, I want to take the opportunity to thank the parish community (and our friends in the broader community) for your generous support of our sponsorship. 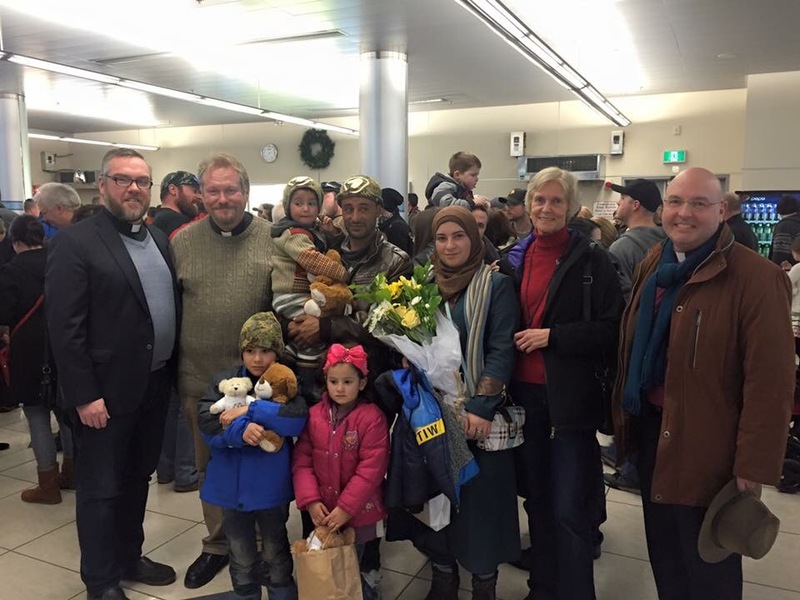 When Bishop Peddle called upon the parishes of the Diocese to respond to the Syrian refugee crisis last fall, he expressed his desire to see the first family arrive in St. John’s by Christmas. Little did we know at the time it would be the St. Mark’s parish community who would make his wish a reality. We launched an appeal at our Parish Fall Gathering, seeking pledges of financial support in the amount of $20,000 and at least twelve people who would provide the social support for a Syrian family to adjust to life here in St. John’s. We were overwhelmed by your generosity as both the volunteers and the required funds were pledged within three weeks. To date more than $27,000 has been donated, which has allowed us to offer support to the family over and above our legal requirement. We also received material donations, such as furniture and clothing, which enabled us to furnish a home for the Maatouk family with very little notice. As I’m sure everyone well remembers, the 16th-19th of December last year was a very intense few days. I am still in awe of what the parish community in general, and our parish support team in particular, were able to accomplish in such a short time. Yes, we had a few bumps along the road, but we pulled it off. In the face of a humanitarian crisis of a magnitude almost beyond comprehension, we made a difference for one family. I know they will be forever grateful. To the parish support team in particular I am so very thankful for each and every one of you for all you have done, and for giving of yourselves so generously and selflessly over the past year. I would be remiss if I didn’t extend a special thank you to Audrey Power for going above and beyond in serving as our support team coordinator. I don’t know what we would have done without her weekly coordinating emails. This was over and above the time she, like the rest of us, gave in direct support to the Maatouk family. I’m sure I speak for all of us on the support team in expressing heartfelt gratitude to Audrey. As we head into the new year we will continue to walk with the family as they still have a ways to go in adjusting to life in Canada. It warms my heart that the support team is still willing to continue to support the family albeit as friends rather than as sponsors. I’m certain many of us will have lifelong friendships with Mounzer, Alaa, Mohammad, Nada and Ahmad. God’s blessing be upon each and every one of you, in the parish community and beyond, who made it possible for the St. Mark’s parish community to live out our Lord’s call to “welcome the stranger” in such a profound way. Father Mark Nichols is the Associate Priest at St. Mark’s and gave great leadership to the Maatouk familiy support team.